Richard Dack's first serious adventures into painting began while at school and his attraction to the industrial aspects of the marine world were the catalyst to his eventual emergence as a marine artist and remain with him to this day. Having grown up in Lowestoft when it was a flourishing port and shipyard with a busy fish market, Richard went on to study painting and printmaking at Camberwell School of Art where the discipline of drawing coupled with rigorous observation were central to a regime that insisted on the meticulous relationships between form, tone and colour being of paramount importance. 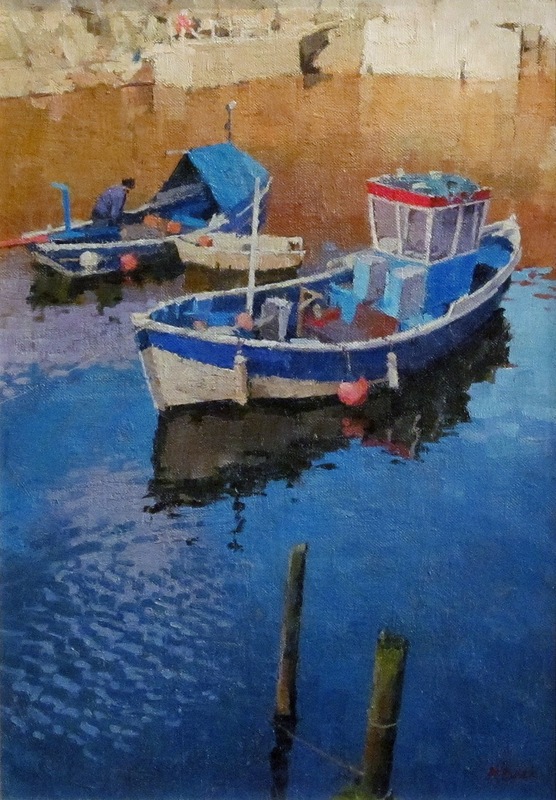 He is a member of the Royal West of England Academy and the Royal Society of Marine Artists. His work has also featured in major art competitions and awards including The Classic Boat Prize and twice winning The Shipwrights Prize, together with The Sea Pictures Gallery 'Working Relationship with the Sea' prize in 2010. Prior to becoming a full-time painter he taught in Cambridgeshire and Devon.